Porterfield has doubled down on his hateful remarks. 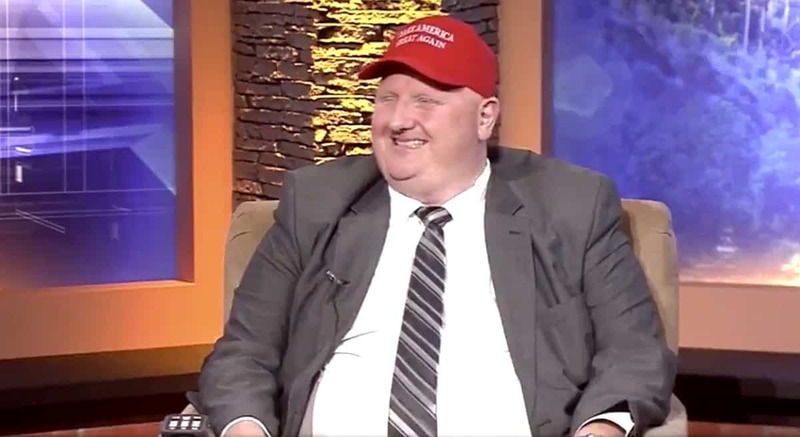 In an interview with news station WVVA, Porterfield was asked what he would do if his “adorable daughter” or “precious son” were to come out to him as gay. Porterfield, proudly donning a MAGA hat, suggested he would drown them. “What do you mean you would see if they could swim?” asked the reporter. “I just want to see if they could swim,” said Porterfield, with a knowing grin that he means something else entirely. “What do you mean?” said the reporter, giggling nervously. In an interview with the New York Daily News, Porterfield said he stood by all his remarks. Porterfield’s rant earlier in the week came after a delegate tried to add an amendment to House Bill 2699 that would have prohibited cities from adding nondiscrimination ordinances that protect sexual orientation and gender identity. The West Virginia Republican Party this week released a statement denouncing Porterfield.